Missed out on what the celebrities rocked this week? Catch up here. This week was big, but not in the sense of rare sneakers. There was a heap of GR’s around this week from Orlando Bloom and DJ Khaled (who is no stranger to rocking the general release). From Columbia and Pure Money Jordan 4’s to the freshly baked Bordeaux 12’s and Royal Flyknits, there were plenty of easily-copped kicks floating around. But there were of course rarer collaborations floating around – again from Off-White – but none rarer than these one of one PE’s for the King himself, courtesy of the Shoe Surgeon. 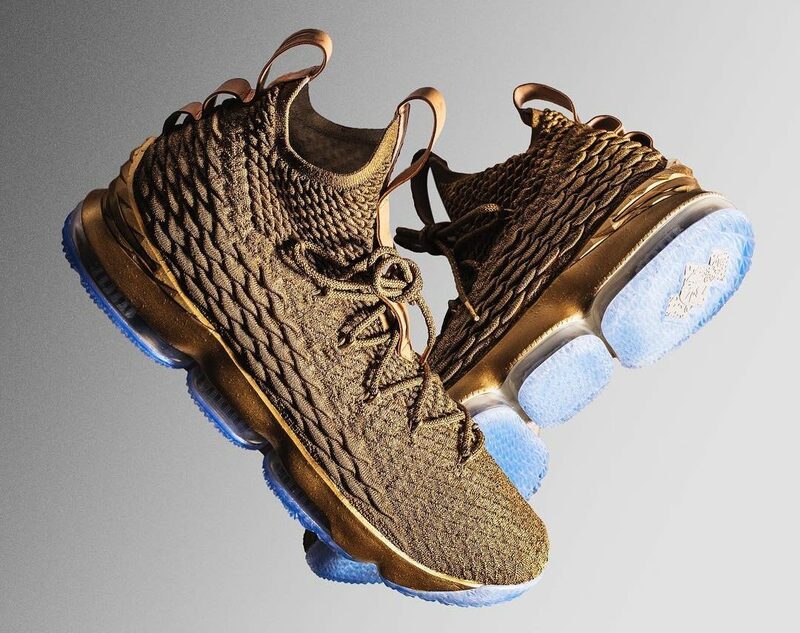 King James rocked these Gold LeBron 15’s for his GQ shoot and we definitely took notice. So for that the King takes the top spot this week in our power rankings.